I love being out in nature and I never turn down the chance to be in the great outdoors but a lot of trails simply offer the same thing. Walking along switchbacks or rocky landscape as you traverse your way to the end. There I said it. 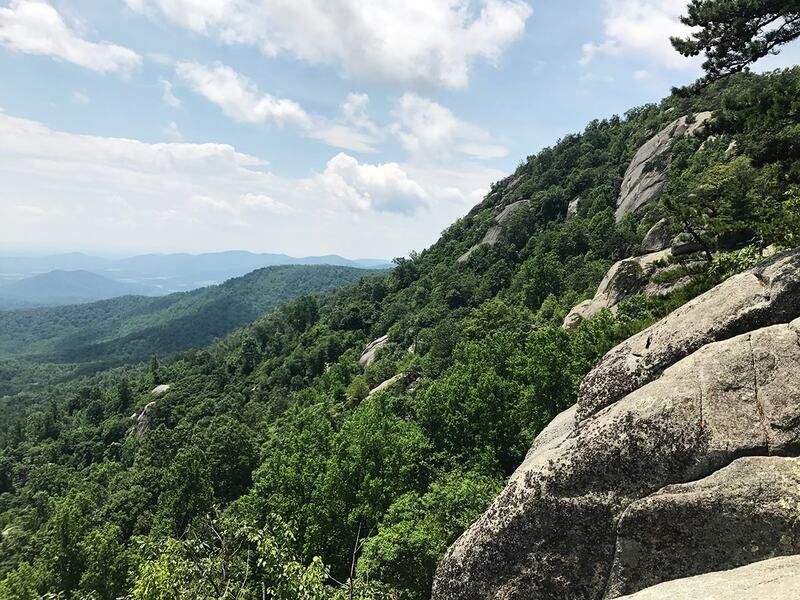 Old Rag Mountain is around a nine mile circuit hike, but you can do it as an out and back to cut down on the distance. But after making the journey in, you will probably want to complete the hike as a circuit. This is a pretty popular route and it does get very crowded when the weather permits. But this is for a good reason. I would consider the trek to be fairly strenuous but anyone in decent physical shape can complete it. There were children on the trail during my first visit. The journey begins at a parking area with a ranger station. 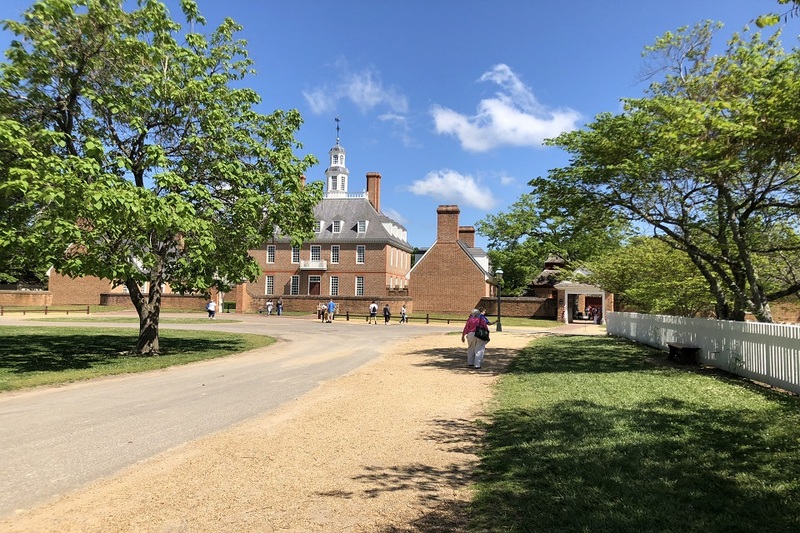 Be sure to pay your entrance fee or show your national parks pass and get current conditions from the park ranger. It is about a mile from the parking area to the Ridge Trail trailhead. You will follow along steady inclining switchbacks in a forested area for the first couple of miles. 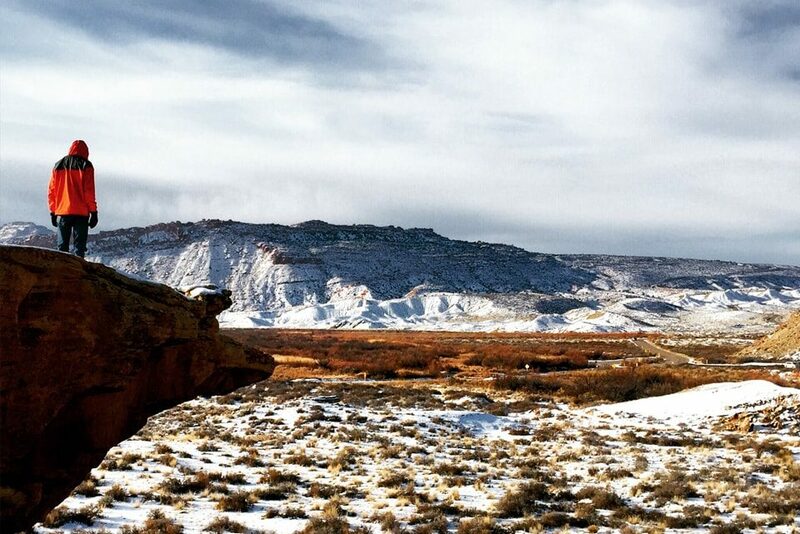 This will probably be your best chance of spotting wildlife on the trail. Both times I completed it I spotted several deer! The trail begins to pick up as you make your way through the woods climbing steeper rock passes. The trail steadily grows more interesting the moderate walking becomes rock scrambles and climbing. 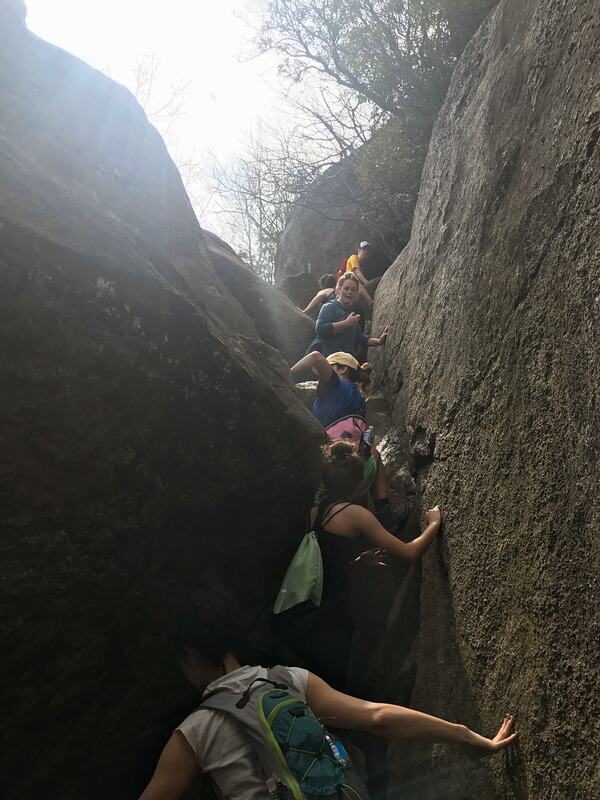 You are literally climbing over, under, and squeezing through giant rocks. You will rely heavily on upper body strength for much of these parts, but stay following the blue blazes and you will be on your way to glory! These parts can get very backed up with a large crowd as it takes time to pull yourself up and over the rocks. 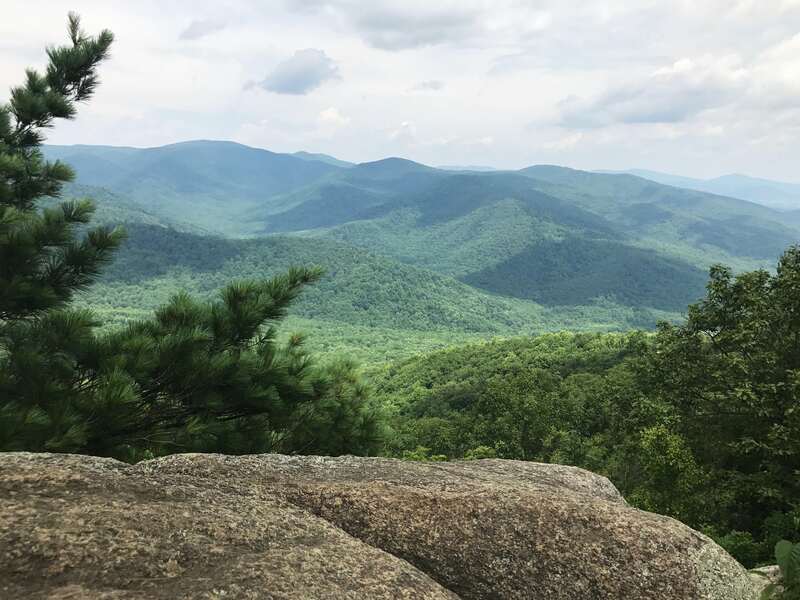 You may be challenging yourself, but you look around and see Shenandoah in all of its beauty and you can't help but be ecstatic! 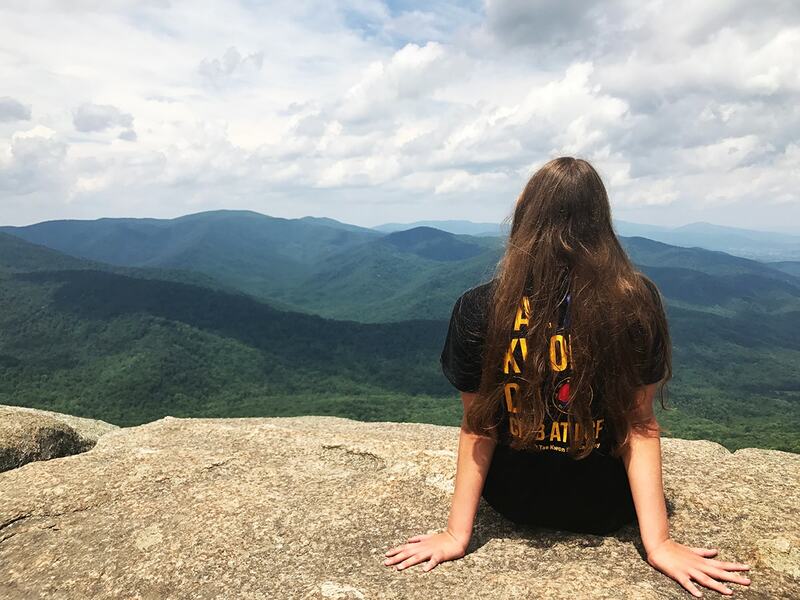 You will know you have complete your journey (well the hard part at least) when you reach the Old Rag Summit sign along with literal 360 degree views towering over the Shenandoah Wilderness. The view is breathtaking. 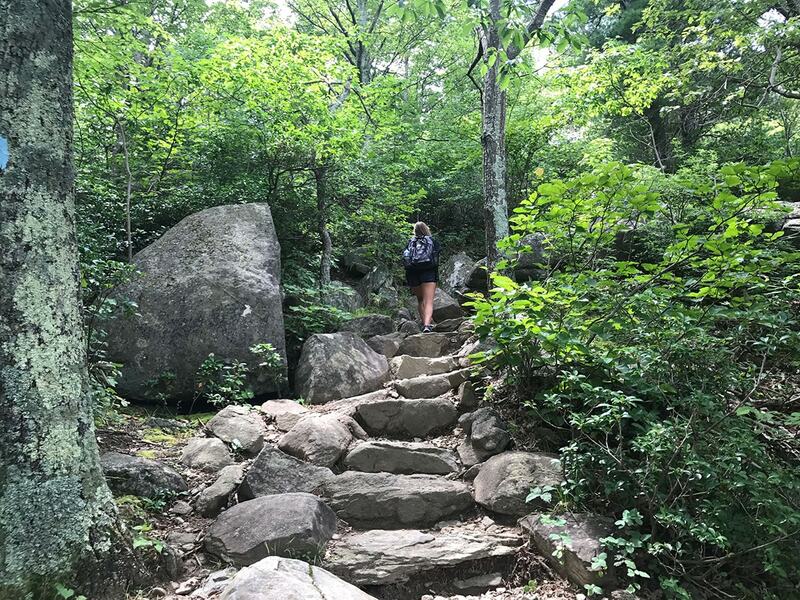 Sure, during the journey you might ask if you're really supposed to climb up those rocks, why you attempted this trail, and how you are going to make it back down, but completing a hike as fun and rewarding as Old Rag Mountain will leave you feeling accomplished and craving more. The way down is through a gradual descent through another wooded area until you reach the point of which you started. 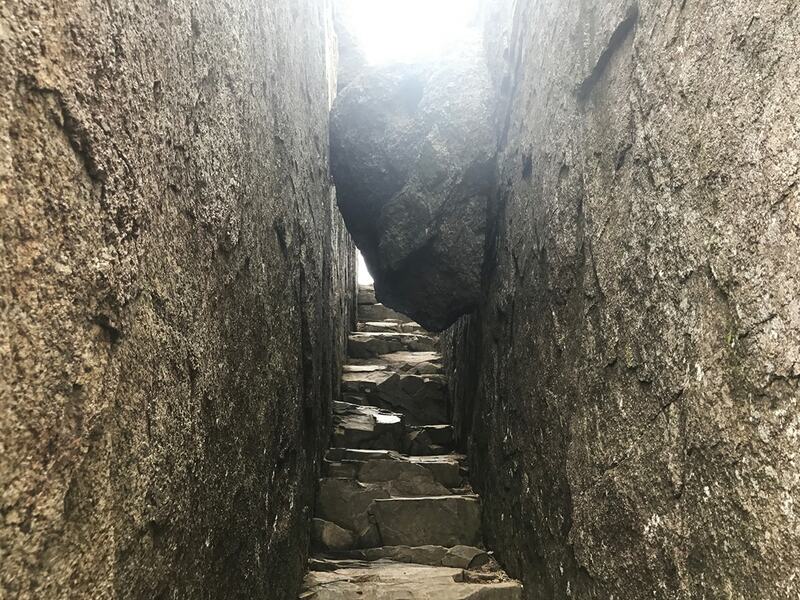 From Old Rag Summit, follow the Saddle Trail down. You will want to remain to your right and take the Weakly Hollow Fire Road down to the promise land. 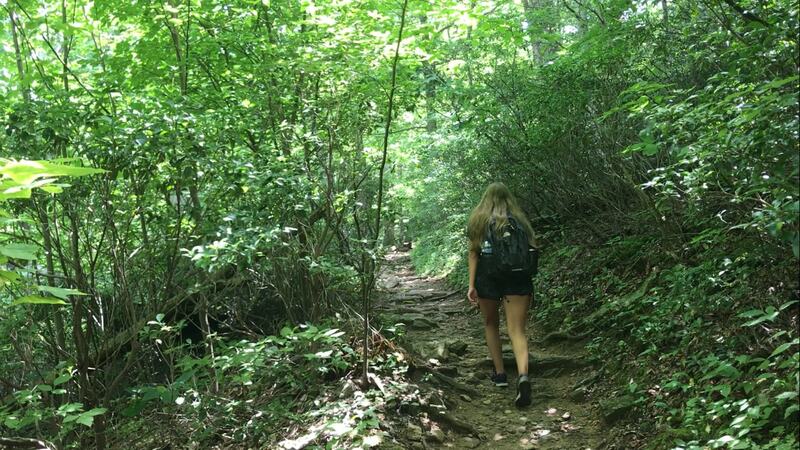 If you choose to do the hike as an out and back, say a prayer and turn around and climb down the way you came! 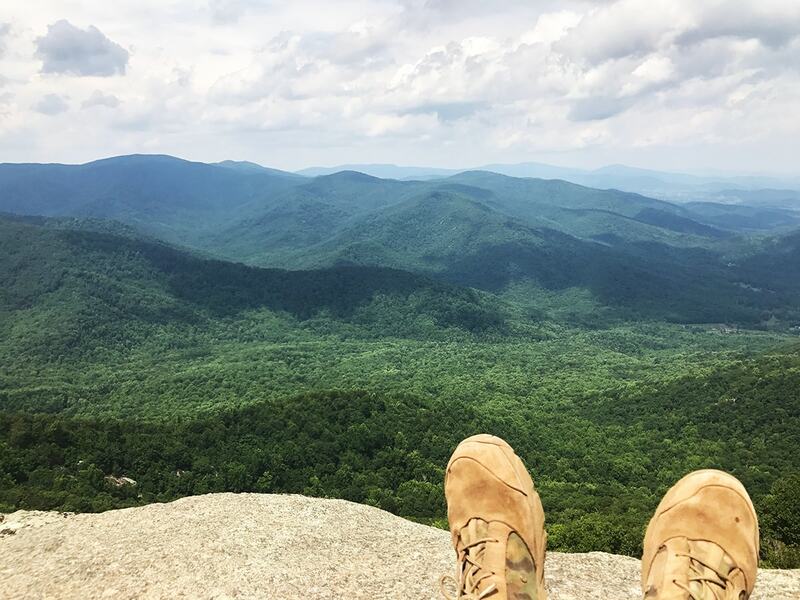 Did you hike Old Rag? Leave a comment below. 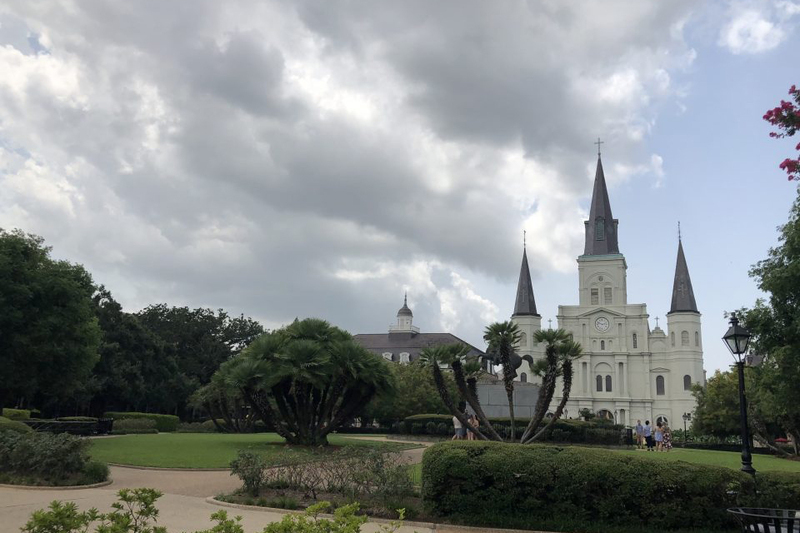 We would love to hear about your adventure!